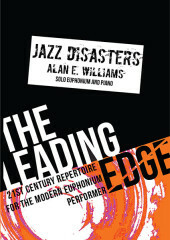 Jazz Disasters was premiered by David Childs, to whom the work is dedicated, during a solo recital at the Bridgewater Hall Manchester in 2004. The genres of music I’m most influenced by are jazz and the “Barbaric” tendencies of early 20th-century composers like Bartók and Stravinsky. I suppose they have rhythmic ostinato in common, and to me, having at one time played guitar in a big band, the marriage between (in this case) funk and brass seems a natural one. David had a big input into the piece, encouraging me to explore the extreme regions of the instrument, and of its virtuoso qualities. It is a kind of collision between the “Balkan” rhythms of the first and last sections and the funk-fusion feel of the middle, with some walking bass thrown in for good measure. The piece should feel like a runaway train, always on the point of coming off the tracks. 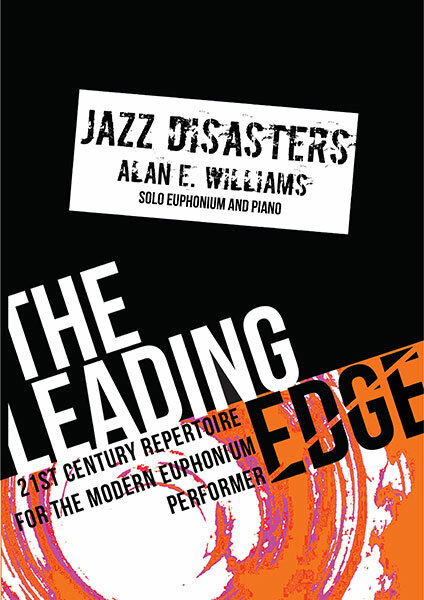 This article was posted in New Releases, Sheet Music and tagged Alan Edward Williams, euphonium, Leading Edge Series, sheet music on 21 May 2015 .